As ecommerce becomes a larger percentage of retail business it is imperative that ecommerce companies are able to keep up with the growth of the industry. While many departments are relatively easy to scale, a company’s fulfilment department is not always as easy. Substantial growth may require an entirely new warehouse layout and additional staff. This being said, substantial growth is not something that happens overnight. There is often an intermediate period that requires subtle changes within the fulfilment team in order to deal with an increase in order quantity. Readers.com has seen enormous growth since its inception in 2006. As Director of Shipping and Receiving at Readers.com, I oversee the fulfilment team and make sure that we are being productive and executing the tasks at hand. As our brand continues to grow, this job becomes more and more difficult. Being with the company for over nine years, I have developed some sure fire ways that help maintain the high level of productivity that is required to keep up with the growth of the company and the growth of ecommerce. Every team member has a different perspective and every perspective is extremely valuable. We have been able to resolve several issues and prepare for the future through collaboration. We have also benefited from external collaboration. The big take away here is that a new perspective can be very beneficial when it comes to improving productivity. Appreciate the Work of Individuals. Whether or not you believe in operant conditioning, I have found that positive reinforcement, in the form of appreciations, ends up going a long way. When a team member is recognized for the work they do, they are more likely to realize that their work is impactful. Upon this realization, team members better understand that their success contributes to the overall success of the company. This is especially true within fulfilment teams because our job is to ensure that the customer receives their order within a timely fashion while minimizing errors. Customers are less likely to recommend our brand to others if their order was messed up or it took a long time to be delivered. This can be avoided by having a fulfilment team that takes pride in their work and the success of the company. Appreciating team members is great for helping them take pride in their work, but providing incentives for hard work can cause team members to go beyond the call of duty. It is important that this method is used less often than appreciations. I found that incentives that are used frequently have the ability to alter the motives of team members causing them to begin to work solely for the incentive. At Readers.com we like to use gift cards to reward people for hard work. Always having the future in mind isn’t necessarily specific to fulfilment teams, but it is extremely important because fulfilment teams are directly affected by the quantity of orders. Depending on what product(s) your company sells, you should be able to gauge when the busier times of the year are. With this being said, any projects that have the potential to disrupt the workflow within the warehouse should be scheduled around busy times. Projects that involve altering the warehouse layout, implementing new automated processes, etc. should be scheduled for times when you expect have a low to average amount of orders. Obviously this is easier to gauge when your company has had a few years under their belt, but it is crucial practice to have in place early so you aren’t disrupting workflow on a larger scale in the future. Similar to collaborating, communication between individual team members is essential to maintaining a productive work environment. Here at Readers.com we schedule one-on-one meetings between team members and team leaders within the fulfillment department. These meetings often consist of discussing different ways that each team member can improve their job as well as how the team leaders can put their team in the best positions to be successful. With a clear idea of what both team members and team leaders need to do to be successful, as the business grows the fulfilment department as a whole will be in a better position to deal with the increase in order quantity. Keep a Large Quantity of Necessary Supplies on Hand. One of the last things you want to do in fulfilment is to run out of certain supplies. Many departments are able to complete tasks using alternative approaches when they don’t have certain supplies on hand, but this is not the case with fulfilment departments. Supplies that are essential to fulfilling orders such as the boxes, bubble wrap, insert slips, etc. should be kept in large quantities to avoid running out. In the case that you do run out of these supplies, order fulfilment can come to a complete stop. Orders for supplies shouldn’t happen once you run out a particular item, but instead should follow an order schedule that is based around projected sales and includes room for error in case the projections were too low. Projections should be conservative to begin with. As your company incurs substantial growth, you will need to start keeping even larger quantities of supplies on hand. Whether your company is operated entirely online or just a portion of it is, ecommerce is going to grow whether you like it or not. With that being said, it is imperative your company is prepared to grow as well. The fulfilment department is arguably the department that will have to be most prepared to combat growth related challenges. I hope that this article was helpful in your preparation for growth or in improving your current set of practices within your fulfilment department! 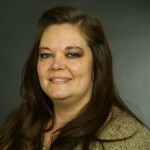 Melissa Fox has worked at Readers.com since 2008 and currently holds the title of the Director of Shipping & Receiving. Based out of Greenwood, IN, Readers.com is a multi-million dollar eyewear eCommerce company selling hundreds of affordable and stylish reading glasses. Fox is in charge of all developmental growth and oversees the entire fulfilment team and processes within their in-house warehouse.